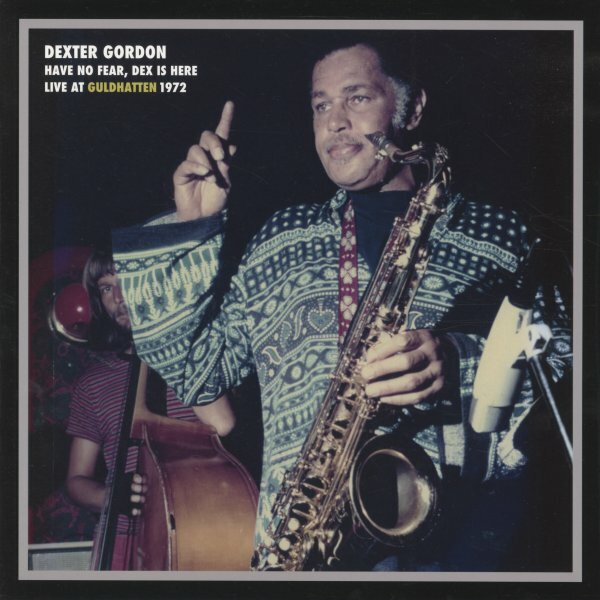 An early 70s recording from Stockholm, but one that's slightly different than some of the better-known overseas material from Dexter Gordon at the time – maybe a bit more laidback, but in a way that also lets the personality of the man really shine through! Part of that quality might come from a warm vocal performance on the first track of the set, and some nice spoken bits at the end – but the group here is also less of a familiar one for Gordon, and it's nice to hear him settle into the scene – then really find his strength on longer tenor solos. Players include Lasse Sjosten on piano, Torbjorn Hultcrantz on bass, and Leroy Lowe on drums – and titles include "The Shadow Of Your Smile", "Rhythm A Ning", "St Thomas", and "Jelly Jelly". © 1996-2019, Dusty Groove, Inc.